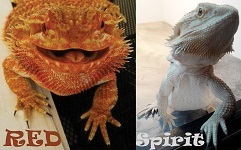 Mantis & Lizard photos - photography and video - Furtopia | Family Friendly Furry Forum and IRC Chat! A few months back during the summer I went camping and got a few photos of a praying mantis on the first day and a western fence lizard as I was packing up to head home. Feel free to tell me what you think. Great shots - that third one is the best in my opinion! 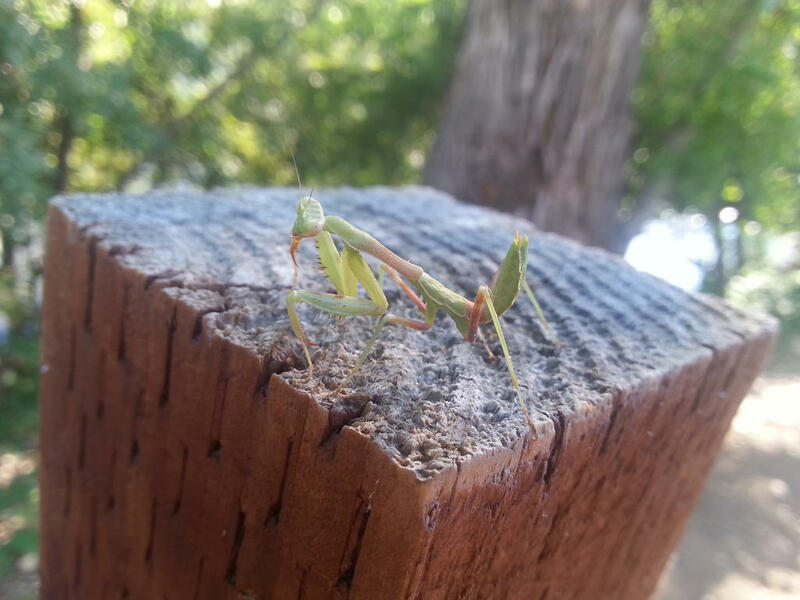 I have yet to spy a preying mantis this year. 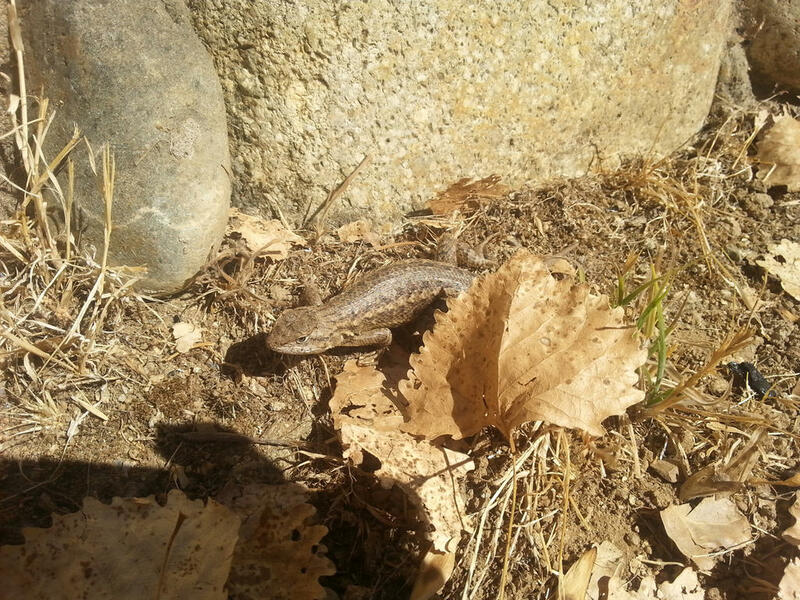 We have a colony of five-line skinks nearby, but no joy there either. Took a few shots of a Cicada Killer though. 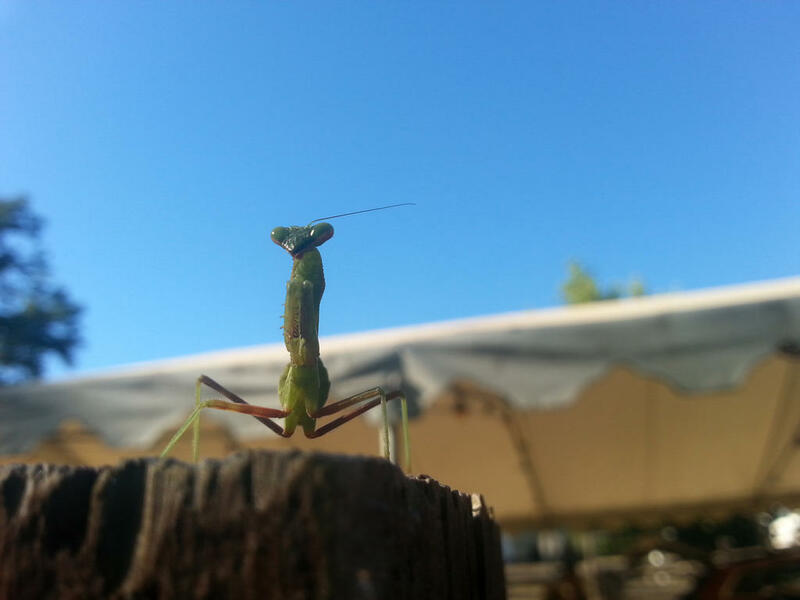 I think the 3rd one came out the best too, might have been the only picture I managed to get the camera to focus right on the mantis, it was a bit on the small side. Never seen a Cicada Killer before so I had to look it up, looks like a giant wasp. 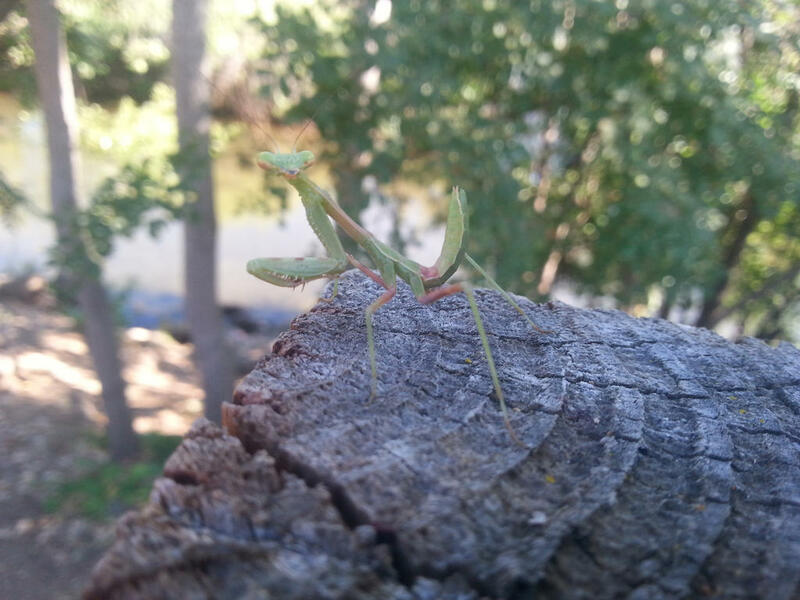 Preying Mantids made the front page of a local newspaper here in mid-Michigan. It seems the hungry but friendly insects have invaded the downtown area. 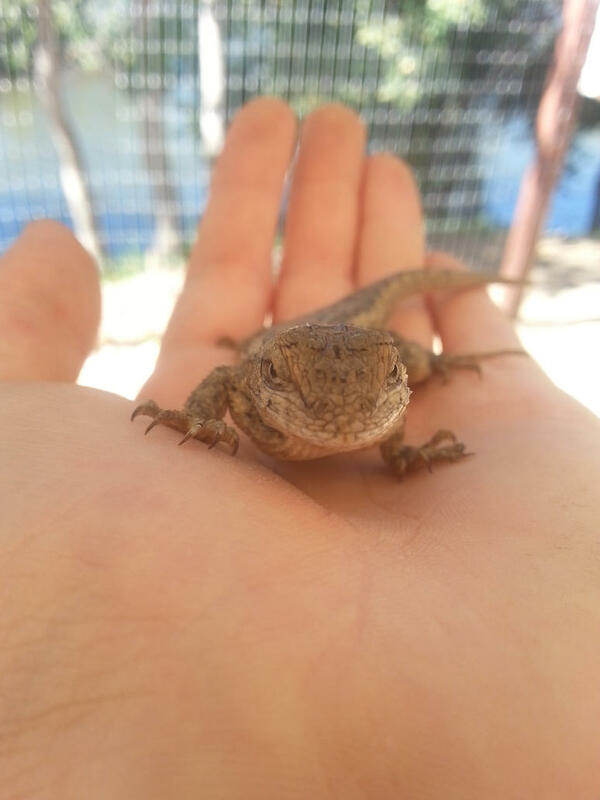 They take up housekeeping in the various floral displays and eat up the pest insects. 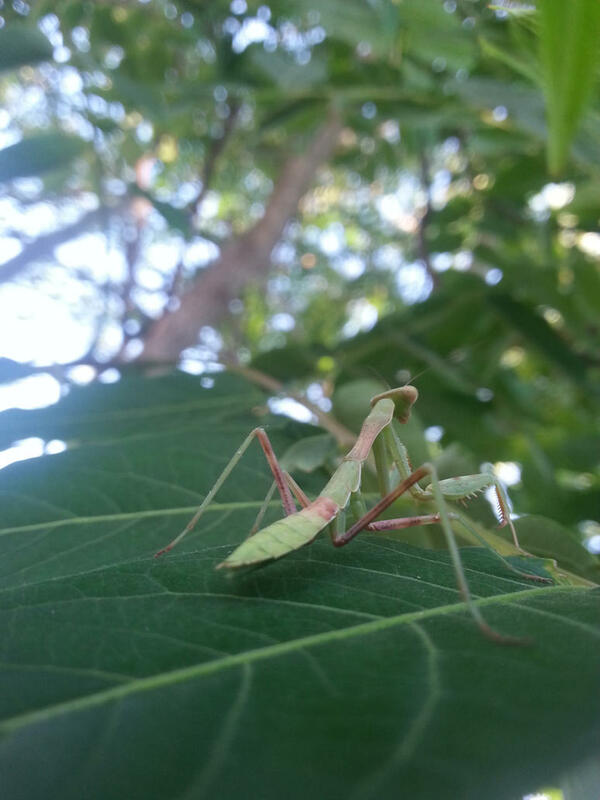 The city gardener says that the mantids save him the use of insecticide. Nice photos! That mantid sure liked having his/her photo taken!